Hundreds of enterprise companies choose Benevity to maximize the value of their community and social investment programs. With the market’s leading holistic CSR solution that satisfies any grantmaking need, we’re ready to help you, too. Your grants program is an essential component of your overall community involvement strategy. Benevity’s grants management solutions will give you more time to focus on developing your community strategy and partnerships by reducing your administrative workload and increasing your productivity. It will streamline your grants workflows, payments and reporting, while seamlessly integrating with your employee engagement programs so you can realize the true impact of all your efforts! And for companies with sophisticated corporate granting programs, Benevity offers the most comprehensive solution in the industry. Our experts work with you to develop the right strategy and solution for your company, and help to ensure that your programs deliver real value to your company and your community. 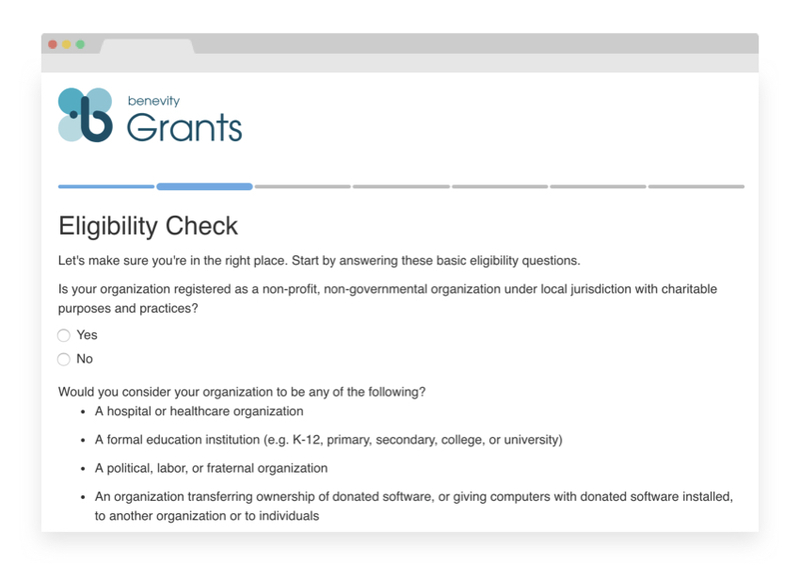 Benevity’s grants management solution provides an online application form that automatically adapts content based on the size and type of grant, its focus, country of origin and more, while it streams requests to the appropriate decision-makers within your company. The application process communicates grant criteria, screens applicants and schedules automated correspondence. A full suite of functions enables you to manage everything from budgets to auto-email correspondence, documentation and reporting. At a glance, you can access funding summaries, review data from many different reporting options, and maintain a detailed audit trail. To raise the profile and engagement with your grant programs, you can easily create Giving Opportunities in Spark to engage employees and customers in giving or volunteering with successful grant applicants. Our system automatically schedules surveys to be sent to funded organizations and/or internal stakeholders and instills a culture of accountability with community partners. that allows applicants to submit in their own language and using their own currency. Our team also has experience in helping global clients build world-class programs. from a dedicated client service team that will provide you and your people with unlimited technical support. Whether you’re based in North America, Europe, Australia or another location around the world, we deliver localized service across time zones.